Fair sharing – greedy pirates! 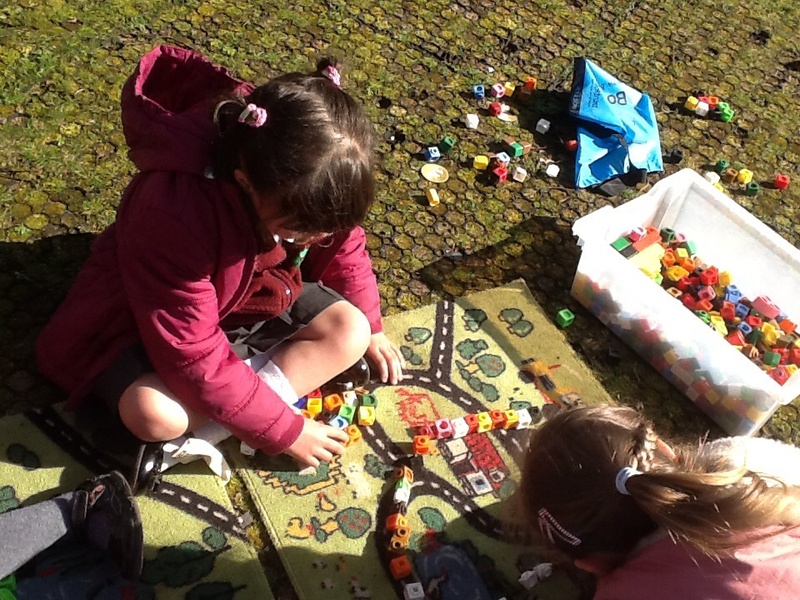 Posted on March 11, 2014 by wombridgeprimaryclass2 | Comments Off on Fair sharing – greedy pirates! 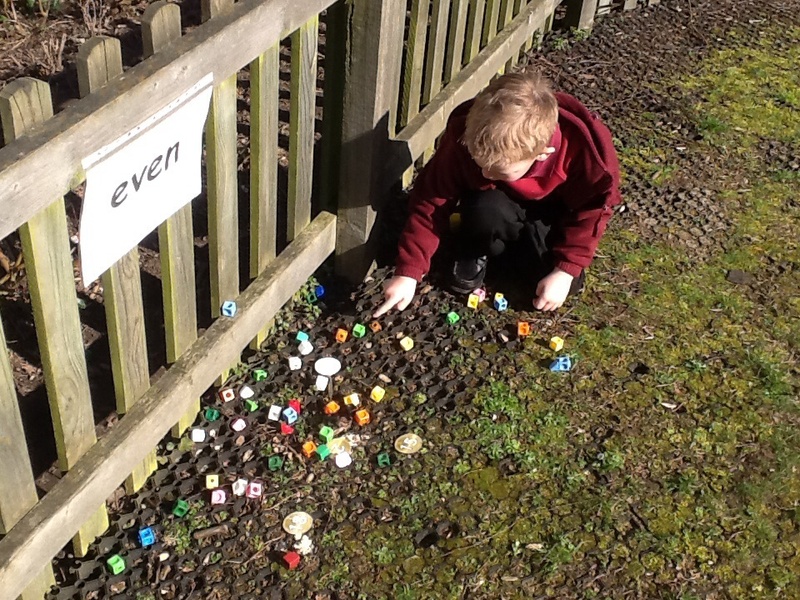 In our outdoor learning area today we found lots of treasure, money, numbers and bags of loot. 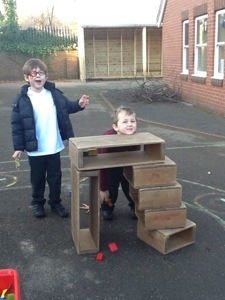 Pirate Pete came to school last night and was very grumpy with his crew because they have not been doing fair sharing. Some pirates have been taking too much treasure, saying that their loot could not be shared fairly. 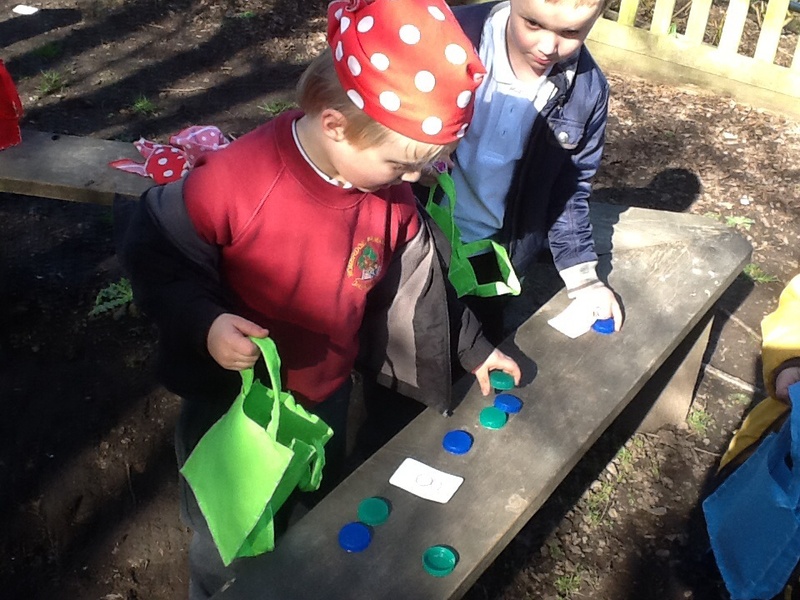 We have been having a go a ‘fair sharing’ between two pirates to find out if all numbers to 20 can be shared fairly between 2 pirates (Pirate Pete thinks they can). These numbers were all a fair share. What do you notice about these numbers? Comments Off on Fair sharing – greedy pirates! 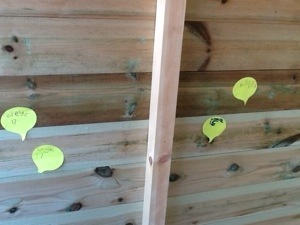 Green group had a math challenge during child initiated learning. 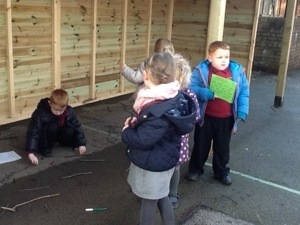 They had to find out how many sticks it took to go from one side of the stable to the other. 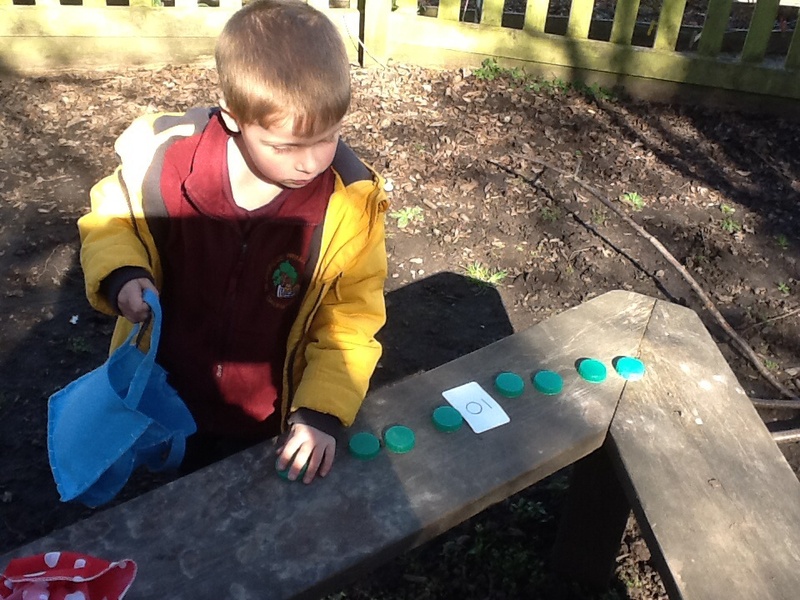 We have been learning about teen numbers so when green group wrote their answer down they had to make sure they wrote their teen number the right was round. 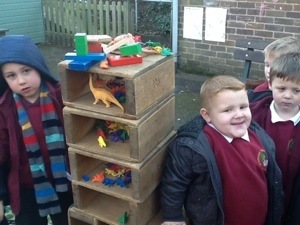 We have had a go at being like the builders and building our own shelter. 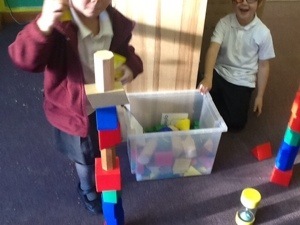 We used 3D shapes and thought about the properties needed to stack the blocks. 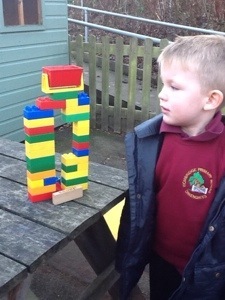 In our 1 minute challenge we had to see how many blocks we could stack in 1 minute. 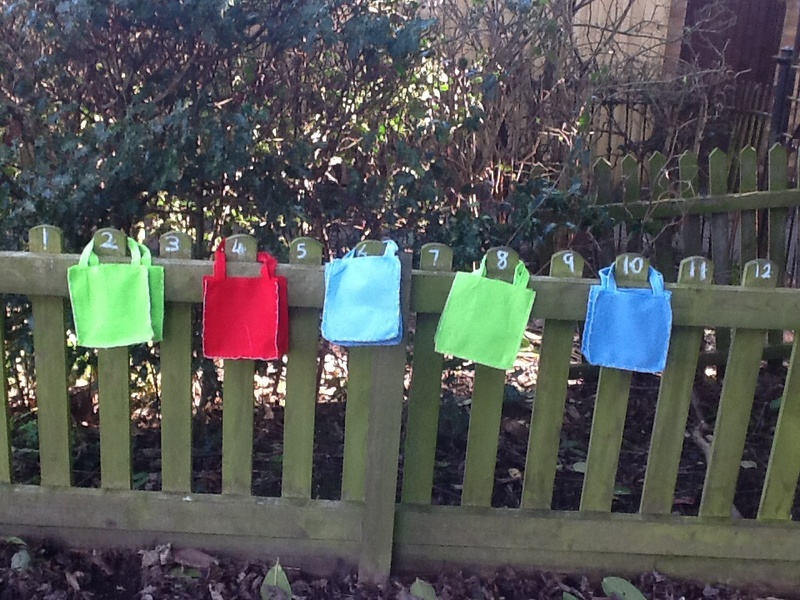 We made food for the Gruffalo and counted it carefully to put in the numbered bags. 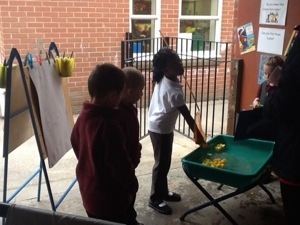 We also had a go at fishing out the ducks. 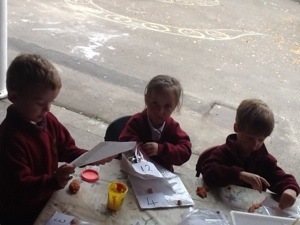 We then counted them carefully to see if we had the same as our partner or if we had more or less. We did the same with the beads in our one minute challenge and some of us counted 1 more. 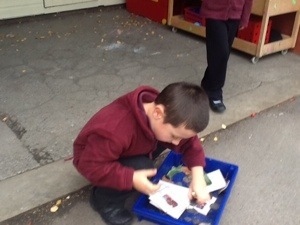 We counted sets of natural objects using the nature cards. 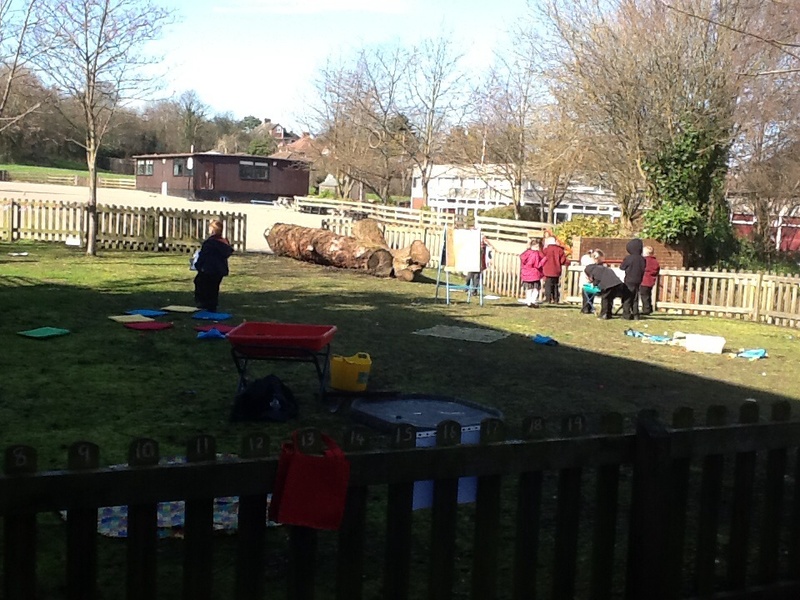 We collected leaves, stones, sticks and shells. 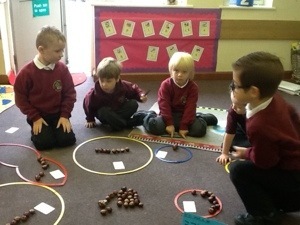 The Gruffalo left us some conkers and a challenge. 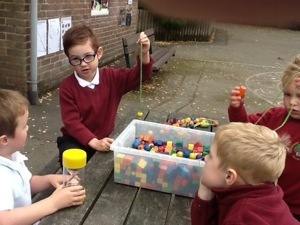 We had to see how many we could grab in two hands then count them carfnlly. We compared amounts with our friends to see if we had the same. 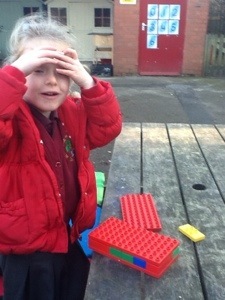 Some of us then had a go at seeing what happened when we added one more.